#throwbackthursday to the front parlor. 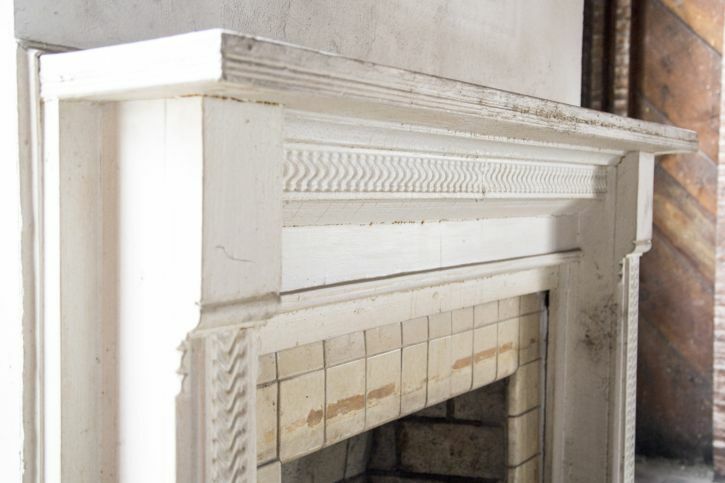 This is the first fireplace you see when you walk into the house, and we can only imagine how many people it has welcomed on Thanksgiving day. We are so grateful to the Glenn House team, our friends and family, and to all of you who have supported us on this journey. Thank you for your words of encouragement and passion for preservation. We are excited to share the next chapter of the project with you: interior restoration and renovations! Splendid, I can’t wait to visit you in this beautiful house. Happy Thanksgiving to all of you! We are grateful for good friends like you. Glad we can keep in touch & we love following your beautiful work & project! Happy Thanksgiving to all of you! We are so grateful for good friends like you. Glad we are able to keep in touch. We love to see your project! Beautiful work!